I love learning about animals. The armadillo I met at the pet expo on Sunday was the first one I ever saw up close. While I’ve seen chinchillas before and know some about them I always seem to learn something new. Q: What do chinchillas do when they are frightened and that helps them get away from predators? 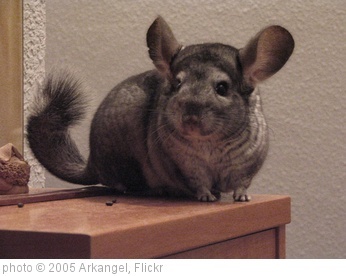 A: Chinchillas loose some of their fur to get away. This is called fur slip. When I was a teenager the woman next door to us had chinchillas and I would watch them for her when she went away. I don’t remember much about that though. They are kind of cute. I wonder if my dogs would like one?